Having strong and mobile knees are an important part of daily function. Your knees help cushion and take weight off the hips and spine. Your knees make it possible for you to squat to and from a chair, use a toilet, get in and out of your car, and climb up and down stairs. Besides excess body weight, a past history of trauma, factors such as smoking, height, posture, poor diet, foot and knee alignment can all make a case for knee pain. The joints of the knee are cushioned by cartilage and meniscus and kept in proper alignment by ligaments and tendons with a neurophysiological component of the nervous system ensuring smooth mechanics. A breakdown in one or more of these components can lead to debilitating knee pain. When this occurs, you may seek out the help of a physical therapist for rehabilitation. Rehabilitation is much more than giving a standard exercise sheet to an individual with instructions to ice and take medication. Proper rehabilitation requires working closely with a highly skilled therapist to determine factors that have contributed to knee pain and implementing an individualized treatment plan for lasting results. A proper exam must include the hip, knee, ankle and spine. A thorough assessment will determine if there is a spinal component causing muscular inhibition or neural dysfunction. This can be accomplished by a palpation, strength testing, combined motion pattern testing, and a functional movement screen. Movements such as completing a proper squat are assessed for dysfunctional movement patterns. This can be due to problems with functioning of the spine, hip, knee and ankle. Typically, a person will need good mobility of the ankle and hip with good stability of the spine and knee. Often forgotten components of the knee include assessment of the patellofemoral and proximal tibiofibular joint. A proper functioning knee also has a rotation component to it of 6-11 degrees for normal biomechanics. Both knees should be compared and assessed for anomalies and treated accordingly. 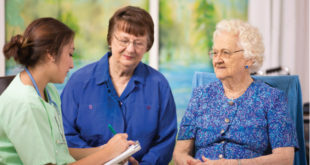 Treatment should begin with patient education on their condition, restoring joint mechanics and mobility through joint specific manual therapy techniques, localized pain or inflammation reducing modalities and formulating an individualized exercise program tailored to address your individual deficits. 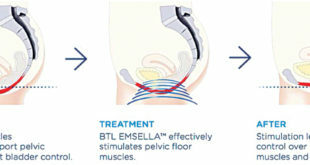 Specialized knee mobilization techniques may include oscillatory traction to the tibio-femoral joint to relieve knee pain while providing improved synovial fluid motility. Superior tibio-fibular joint mobilization may be performed especially when the client has IT band syndrome. Sacroiliac joint mobility is also assessed and treated as needed as this may cause a functional leg length discrepancy leading to weight shifting with compensatory movement patterns in standing and with gait. Exercises will include muscular trigger point releasing techniques, stretching, strengthening, and at times self-mobilization techniques to reinforce treatment. Taping can also be performed in the form of Kinseo-taping, or most often joint taping to assist in achieving pain free mobility instead of limiting it. Aquatic therapy is a great starting point for some clients who are arthritic or have trouble exercising on land. This heated and buoyant environment minimizes weight on the joints allowing for resistance exercises while minimizing joint pain. TRS has a pool therapy program in our Lakeland location where we provide one on one care for individuals post injury or once healed post-surgery. This also allows for an excellent transition from a pool therapy program to our out-patient clinic. Footwear is another important component that should be addressed as poor fitting shoes or shoes that give improper support can cause pain from the foot all the way up to the spine. An example would be an individual with high arches and rigid feet often needing loose fitting shoes to allow for foot mobility compared to someone with flat feet needing ridged shoes to help absorb stress. In certain situations, custom orthotics may be recommended. TRS offer’s two different types of orthotics; one is a hard plastic custom molded orthotic and the other is a softer but still supportive custom orthotic which is often more economical for clients on a budget. Our goals are to provide a reset for your body by finding and correcting areas of biomechanical dysfunction, reinforcing those areas treated with a specific exercise plan, support in the form of taping, orthotics or bracing and gradually reloading tissues to allow for proper functional strengthening. Having a skilled and thorough assessment with multiple options for treatment of your knee and surrounding areas is crucial in achieving a successful outcome. www.therapeuticrehabspecialists.com for more information on our rehab and wellness program. We have three offices for your convenience located in Lakeland, Brandon and Pinellas Park.